Inflatable Boats, Inflatable Boat Accessories, Inflatable Boat Information and more..... all in one great location! Add your products to our site? Innovative davit for inflatable boats - No glued parts or hassles. SRC coatings will turn your old inflatable into a renewed gem! ** Custom product orders processed and shipped generally within 48 hours, subject to availability. Shipping via UPS ground is generally 7-12 business days. Boat and Marine Accessories, Parts, Custom Products for all boats. Boats, marine and inflatable boats and accessories and parts for boats, inflatable boats, kayaks, inflatable dinghies and inflatable canoes. Boat products, marine accessories, watersports products and inflatable boats and accessories for the avid boater and marine enthusiast in your family. Many boats accept standard parts that fit most boats while others take custom parts made specifically for the that boat brand. Our custom yet universal products include prop guards, wheels, covers, towers, repair paint and others. 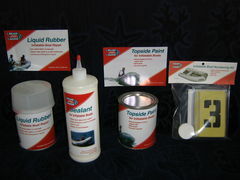 CUSTOM AND UNIQUE PRODUCTS and GREAT SERVICE we're your best choice for innovative marine products. We're more than just a dinghy store. 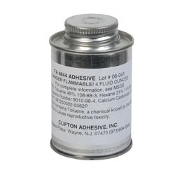 Review our new products including glue, fabric, repair kits, sealant, paint, cleaners, and more. See them here. Are new Inflatable boats too expensive for you? Refurbish your old inflatable boat, kayak or canoe. Protect your boat investment with Keel Guard. Boats and Accessories for boats and inflatable boats - Review, research, learn about and buy inflatable boats, inflatable boat parts and boat and marine accessories, custom marine products, inflatable kayaks and more all in one location. Welcome to the premier inflatable and boat products website on the internet! With many different inflatable boat links to chose from you'll find the right transom boat for you. Portable inflatable boats feature wooden slat floorboards to get you on the water in 15 minutes. A 40hp motor and boat handles some of the roughest conditions around. If you love to get out among the fish then click on the banner to the right. The inside information about inflatable boats and accessories that you can find in articles on this inflatable boats website will astound you. Contact Us to learn more about our services, products or with any questions about the inflatable boat industry and related products. * Free shipping offer on some products only. ANCHOR FAIRLEAD: device that provides chafe protection on the bow of the boat and through which the anchor rode is lead. BENCH SEAT: rigid plank on which to sit while rowing. BILGE PUMP: electric pump to remove water from the hull. BOLT ROPE (or flange): a flap of material containing a section of rope which is used to slide into a slot in the hull to hold a buoyancy tube in place (also used in a similar manner for attaching seat cushions). BOTTOM OF THE HULL: The part of the hull that's under water. Its form is a determining feature in the boat's navigation capacity. CAVITATION: a situation when the propeller gets air or insufficient bite in the water and loses its power. Can happen due to motor mounted too high, seas conditions and tight turns. CHOPPY WATER: Agitated sea due to waves and wind coming from different directions. COATING: interior and exterior covering of fabric by a flexible sub- stance. The interior layer assures air tightness, the exterior insures resistance to abrasion. COCKPIT: the area of the boat occupied by passengers. Floor drains provide for removing accumulated water. CONE REINFORCEMENT: rigid caps that provide protection for the ends of the buoyancy tubes. DECITEX: weight measurement of the thread that constitutes the textile strength. DECK: a horizontal platform on which you may stand. Large boats may have numerous decks. D-RING: A ring whose metal part is D-shaped. Used especially when beaching and towing. FLOOR: a surface on which you may stand. Floors may be slats in fabric sleeves, interlocking or hinged sections of wood, aluminum or composite materials, or fiberglass as in Ribs. HAND RAILING: profited grab rail for passengers to hold on to while navigating. KEEL: (for a foldable boat) the inflatable lengthwise part found under the boat, between the boat bottom and the floor. The inflatable keel is a supplementary safety compartment. LACING CUFF: a flap of material (usually positioned on top of the tube) through which life lines are lead. Lacing cuffs frequently act as upright reinforcements for the buoyancy tube. LIFE LINE: line around the boat to help passengers keep steady while navigating and when boarding. MOTOR BRACKET: physical part of the boat to which the engine is mounted. MOTOR SHAFT: That part of an engine that goes from below the motor head to the propeller. This height is variable for a given horsepower, it can be short, long, or extra long. OARLOCK: U-shaped, circular or other shape which holds the oar and secures it to the buoyancy tube permitting movement for rowing. PLANE: Transitory phase during which the boat goes from pushing the water at low speed to sliding over it. Usually this phase is accompanied by porpoiseing as the boat overtakes its own bow wave. PRESSURE GAUGE: measuring instrument that indicates the level of air pressure in the buoyancy tube. RUBBING STRAKE: Composition of resistant flexible lateral bands that protect the boat from damage caused by rubbing (ie. against the dock). SELF BAILER: device that permits accumulated water to exit the boat, while not permitting water to enter the boat. Usually, a plug wilt he used to close the self bailer when the boat is at rest, anchored or not operational. STRINGER: aluminum lengthwise bars that lock the floorboard elements in place when mounted on the boat (foldable boats). TILLER ARM: a lever with controls used to steer and throttle an outboard motor when a remote helm station is not used. TRANSOM: structural component of the hull of the boat on which the motor or motor bracket is mounted. TRIM TABS/TRIM FLAPS: extension of the bottom of the hull beyond the transom that aids in stability and planing. WATER EVACUATION PLUG: found at lowest part of hull's stern. It permits water to evacuate from inside the hull (boat out of the water).